A science fiction fantasy drama with humour and soul, E.T. The Extra-Terrestrial is the heartwarming story of pure friendship between a lonely boy and a marooned alien. In a California suburb, a spacecraft carrying inquisitive and gentle extra-terrestrials arrives in a forested area for some floral exploration. But with humans closing in the aliens take off in a hurry, inadvertently leaving one member of the expedition behind. The stranded and scared visitor eventually makes contact with ten year old Elliott (Henry Thomas), a lonely boy who lives in a nearby suburb with his mom Mary (Dee Wallace), older brother Michael (Robert MacNaughton) and young sister Gertie (Drew Barrymore). Elliott is struggling to come to terms with his parents' divorce, and his father is absent and in Mexico with a new girlfriend. Elliott is the only member of the family to notice unusual activity in the shed. At first startled, he patiently guides the extra-terrestrial into his room to care for it, then introduces the alien to Michael and Gertie. Elliott and the extra-terrestrial form a symbiotic bond where they share feelings and physical experiences, while. E.T. demonstrates extraordinary abilities to manipulate items, learn and communicate. With the adult world moving in and the health of both Elliott and the alien starting to deteriorate, E.T. has to find a way to call home and summon a rescue party with the help of Elliott, his siblings and their friends. Directed by Steven Spielberg and written by Melissa Mathison, E.T. is a family-friendly classic about love prevailing despite all barriers. Unfolding from a child's height and perspective, and with no adults in any role of consequence, this is a story of a lonely boy finding elusive friendship with a most unlikely companion. 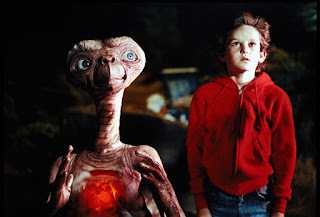 Spielberg created a creature with looks that can only be admired by its own mother, and turned the expressive alien into one of the most loved and best known characters in movie history. In 1977's Close Encounters Of The Third Kind Spielberg explored the mysterious forces that attract ordinary humans to extraterrestrials despite seemingly impossible distances and communication challenges. 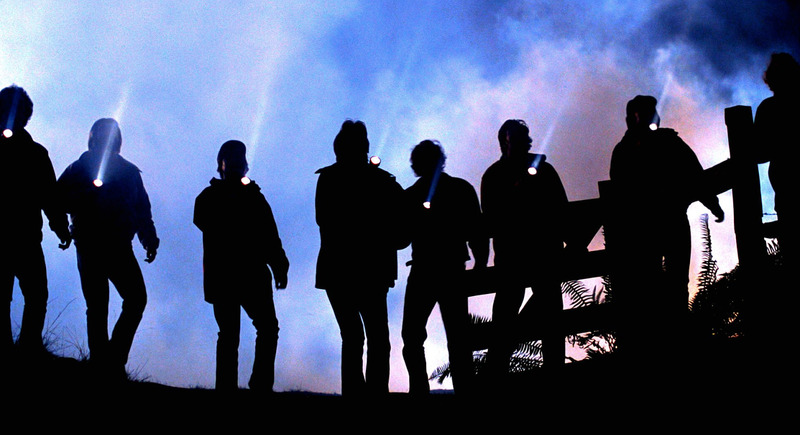 Close Encounters ended with the arrival of the aliens; E.T. starts with a much more modest landing, and but continues to explore the inherent kinship among beings. Several themes course through the film. Fundamentally E.T. is about the ties that bind all living things, with children more open to perceiving the purity of love's natural power. An almost instantaneous and effortless sensory bond is forged between Elliott and E.T., and just as the alien has a life-boosting connection with nature, Elliott is compelled to free the frogs in his school science class. And with belief and togetherness all things are possible, as E.T. helps Elliott literally soar over his troubles. Another forceful theme is the hesitancy of adults to believe in the unusual, and indeed their inability to see the obvious if it does not fit into preconceived notions. When young Gertie tries to introduce E.T. to her mom, Mary adult cannot pause long enough to notice the alien right in her kitchen. And late in the film when government-types in moonsuits (including Peter Coyote as the barely defined "keys" man) move in, they are next to useless in salvaging the situation, and just add to the the trauma of Elliott and E.T. Spielberg weaves the concepts together in a package filled with wonder, curiosity, hope, humour, intelligence and plenty of tears activated by both sadness and triumph. 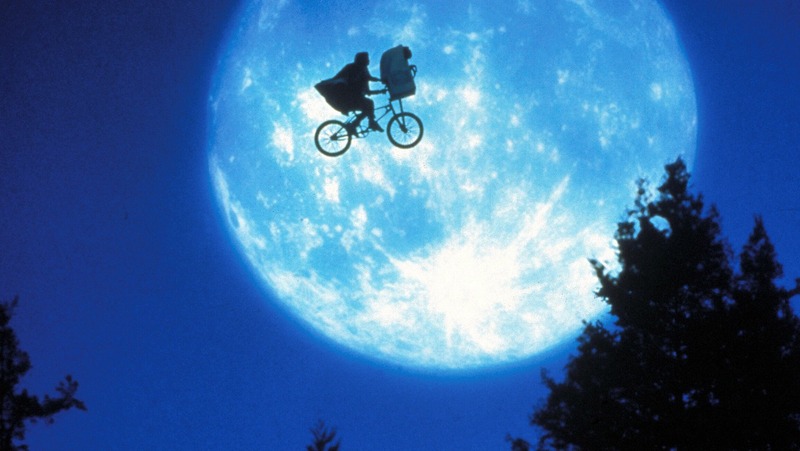 He also creates images and catchphrases that are among the most well known and best loved, including the unforgettable flying bicycle across the gigantic moon and the heart wrenching quest of E.T. phone home. The Extra-Terrestrial thrives in its home environment, but this friendship with earthlings will live in hearts and minds forever.